When it comes to digital data storage, our thirst is unquenchable: today’s most advanced software programs, from neural network simulators to weather forecasting applications, need more room than ever before, and that’s before you get to all the photos, music, and videos we’re generating every single day. But now an international team of researchers working at the Diamond Light Source in the UK think they might have found the answer to our ongoing storage needs in a technology called spintronics, which offers some useful properties for recording our 1s and 0s, including significant boosts in data storage density. For the first time, the researchers looked at the potential of using antiferromagnetic materials as magnetic storage media. Each atom has a property called ‘spin’, which you can think of as a microscopic bar magnet, with a north and south pole. In antiferromagnetic materials, these spins are arranged head-to-toe, cancelling out any external magnetic field. Normally, data bits are stored by using an electric current to flip the orientation of the spins. As the arrangement in antiferromagnetic materials does not allow this, the researchers have come up with a novel way of rotating pairs of spins rather than flipping them to store data. Basically, the spin of electrons rather than their charge is used to map out the 1s and 0s of our data. That’s the science, but here are the main benefits. First of all, there’s no density change in the current compared with the data storage devices we use today, so upgrading should become easier. Secondly, the antiferromagnetic materials don’t emit an external magnetic field, so there’s less chance of devices interfering with other equipment or being spied on. A lack of magnetic field also means individual regions can be packed very close together, giving us more data in less space. Information can also remain intact without power, and can be written and read at room temperature – all boxes that need ticking when you’re investigating the potential of a next-generation storage technology. The spintronics approach has the potential to increase read and write times by a factor of up to 1,000, according to the team, and the materials we’re talking about are pretty straightforward to make. The team has so far been experimenting with a thin film of antiferromagnetic copper manganese arsenide (CuMnAs) but think more suitable materials are also out there. It’s going to be a good while before spintronics arrive in laptops and phones, but the potential is definitely there. “The physics is beautiful but complex yet the practice is relatively simple,” said the lead researcher on the project, Peter Wadley. The team’s work has been published in Science. EPFL scientists have discovered a new topological insulator that could be used in future electronic technologies. Topological insulators are recently discovered materials that differ from the familiar insulators and semiconductors in many ways. 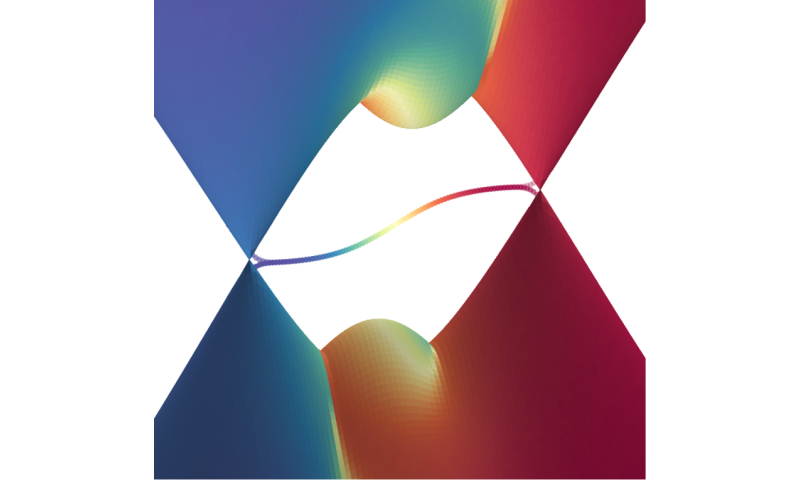 While topological insulators are fascinating for fundamental physics, they could one day enable electricity with less energy loss, spintronics, and perhaps even quantum computing. Combining theory with experiment, EPFL scientists have now identified bismuth iodide as a topological insulator and the first representative of a whole new structural class of materials that could propel topological insulators into applications. The work, which was carried out within the framework of the EPFL-led NCCR Marvel project, is published in Nature Materials. The novel physical properties of topological insulators make them interesting as a conceptually new component in electronic devices. Most ideas for future technologies involve dissipation-less currents: if they are ever integrated into electrical circuits, topological insulators could greatly reduce energy losses. Added to this is the potential for faster, “spintronics” technologies that run on electron spin rather than charge. And finally, topological insulators might one day become the cornerstone of quantum computing. All this has lead to a great search for optimal topological insulators, including both natural and man-made materials. Such research, as the kind performed within the NCCR Marvel project, combines theoretical work that predicts what properties the structure of a particular material would have. The “candidate” materials that are identified with computer simulations are then passed for experimental examination to see if their topological insulating properties match the theoretical predictions. This is what the lab of Oleg Yazyev at EPFL’s Institute of Theoretical Physics has accomplished, working with experimentalist colleagues from around the world. By theoretically testing potential candidates from the database of previously described materials, the team has identified a material, described as a “crystalline phase” of bismuth iodide, as the first of a new class of topological insulators. What makes this material particularly exciting is the fact that its atomic structure does not resemble any other topological insulator known to date, which makes its properties very different as well. One clear advantage of bismuth iodide is that its structure is more ordered than that of previously known topological insulators, and with fewer natural defects. In order to have an insulating interior, a material must have as few defects in its structure as possible. “What we want is to pass current across the surface but not the interior,” explains Oleg Yazyev. “In theory, this sounds like an easy task, but in practice you’ll always have defects. So you need to find a new material with as few of them as possible.” The study shows that even these early samples of bismuth iodide appear to be very clean with very small concentration of structural imperfections. After characterizing bismuth iodide with theoretical tools, the scientists tested it experimentally with an array of methods. The main evidence came from a direct experimental technique called angle-resolved photoemission spectroscopy or ARPES. This method allows researchers to “see” electronic states on the surface of a solid material. ARPES turns out to be the crucial technique for proving the topological nature of electronic states at the surface. The ARPES measurements, carried out at the Lawrence Berkeley National Lab, proved to be fully consistent with the theoretical predictions made by Gabriel Autès, a postdoc at Yazyev’s lab and lead author of the study. 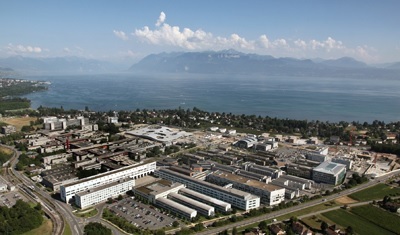 The actual electron structure calculations were performed at the Swiss National Supercomputing Centre, while data analysis included a number of scientists from EPFL and other institutions. “This study began as theory and went through the entire chain of experimental verification,” says Yazyev. “For us is a very important collaborative effort.” His lab is now exploring further the properties of bismuth iodide, as well materials with similar structures. Meanwhile, other labs are joining the effort to support the theory behind the new class of topological insulators and propagate the experimental efforts. This study was carried out within the framework of NCCR Marvel, a research effort on Computational Design and Discovery of Novel Materials, created by the Swiss National Science Foundation and led by EPFL. It currently includes 33 labs across 11 Swiss institutions. The work presented here involved a collaboration of EPFL’s Institute of Theoretical Physics and Institute of Condensed Matter Physics with TU Dresden; the Lawrence Berkeley National Laboratory; the University of California, Berkeley; Lomonosov Moscow State University; Ulm University; Yonsei University; Pohang University of Science and Technology; and the Institute for Basic Science, Pohang. The study was funded by the Swiss National Science Foundation, the ERC, NCCR-MARVEL, the Deutsche Forschungsgemeinschaft, the U.S. Department of Energy, and the Carl-Zeiss Foundation. Caroline Ross and Geoffrey Beach are studying how the “spin” of electrons on nanomagnets could be manipulated to create faster, more energy-efficient computers. Magnetic tunnel junctions hidden under cones of tungsten used as an etch mask. The tunnel junctions were made from a film deposited by Weigang Wang’s group at the University of Arizona, and patterned using self-assembled block copolymer lithography in Professor Caroline Ross’ group. Image courtesy of Caroline Ross. Computers are basically machines that process information in the form of electronic zeros and ones. But two MIT professors of materials science and engineering are trying to change that. Beach, the Class of ’58 Associate Professor of Materials Science and Engineering, is investigating ways to reduce the power required to “switch” magnetic spin — that is, to make an “up” magnet “down,” and vice versa. This process basically translates into changing zeros to ones and ones to zeros, something computers do billions of times per second. He recently discovered a new way to perform low-energy spin-switching (published in the prestigious Nature Materials and reported on here at MIT) which has led fellow C-SPIN researchers to develop new theoretical and experimental spin devices. Skyrmions, subatomic quasiparticles that could play a key role in future spintronic technologies, have been observed for the first time using x-rays. An international collaboration of researchers working at Berkeley Lab’s Advanced Light Source (ALS) observed skyrmions in copper selenite (Cu2SeO3) an insulator with multiferroic properties. The results not only hold promise for ultracompact data storage and processing, but may also open up entire new areas of study in the emerging field of quantum topology. 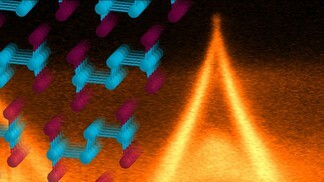 “Using resonant x-ray scattering, we were able to gather unique element-specific, orbital-sensitive electronic and magnetic structural information not available by any other method,” says Sujoy Roy, a physicist who oversees research at ALS Beamline 12.0.2 where the study was carried out, and the corresponding author of a paper describing this research in Physical Review Letters titled Coupled Skyrmion Sublattices in Cu2OSeO3. Although skyrmions act like baryons, they are actually magnetic vortices – discrete swirls of magnetism – formed from the spins of charged particles. 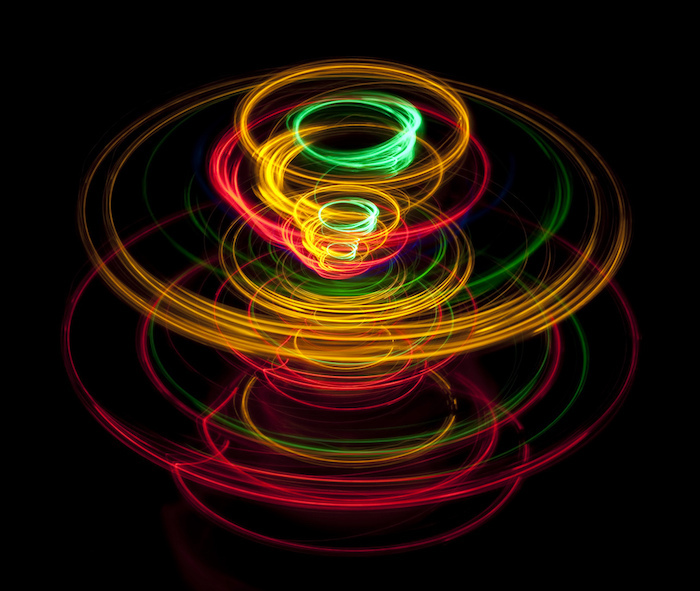 Spin is a quantum property in which the charged particles act as if they were bar magnets rotating about an axis and pointing in either an “up” or “down” direction. The discovery of skyrmions – named for Tony Skyrme, a British physicist who first theorized their existence – in manganese silicide generated much excitement in the materials sciences world because their exotic hedgehog-like spin texture is topologically protected – meaning it can’t be perturbed. Add to this the discovery that skyrmions can be moved coherently over macroscopic distances with a tiny electrical current and you have a strong spintronic candidate. ALS Beamline 12.0.2 is an undulator beamline with experimental facilities optimized for coherent x-ray scattering studies of magnetic materials. The collaboration, which included researchers from Berkeley Lab’s Materials Sciences Division and Japan’s RIKEN Institute, used these facilities to first identify the magnetic vortex. Then, at a certain applied electric field and temperature, they saw x-ray signals due to the formation of a skyrmion lattice. Controlling the movement of skyrmions in a multiferroic compound suggests these magnetic vortices could be used to read and write data. Skyrmions are considered especially promising for the holographic information storage concept known as magnetic race-track memory. In addition to device applications, the collaboration’s findings show that is now possible to use x-rays to study spectroscopic and electronic aspects of the skyrmion, and to study skyrmion dynamics on the time-scale of fundamental interactions. Co-authors of the Physical Review Letters paper, in addition to Roy and Langner, are Shrawan Mishra, Jason Lee, Xiaowen Shi, Muhammad Hossain, Yi-De Chuang, Shinichiro Seki, Yoshinori Tokura, Stephen Kevan and Robert Schoenlein. “Magnonics is an exciting extension of spintronics, promising novel ways of computing and storing magnetic data. What determines a material’s magnetic state is how electron spins are arranged (not everyday spin, but quantized angular momentum). If most of the spins point in the same direction, the material is ferromagnetic, like a refrigerator magnet. If half the spins point one way and half the opposite, the material is antiferromagnetic, with no everyday magnetism. There are other kinds of magnetism. In materials where the electrons are “itinerant” – moving rapidly through the crystal lattice like a gas, so that their spins become strongly coupled to their motions – certain crystalline structures can cause the spins to precess collectively to the right or left in a helix, producing a state called helimagnetism. There is way too much information on helimagnetism in this article for me to pick out important items, they are all interlinked. See the full article here.